Hey beauties! Sorry for being so silent here on the blog, however as some of you may know from my Instagram, I'm back home in Lithuania at the moment and I have toooones of things to do! BUT, I'm flying back to London next week so get ready for a lots of exciting posts, London Fashion Week moments & my trip to Paris! 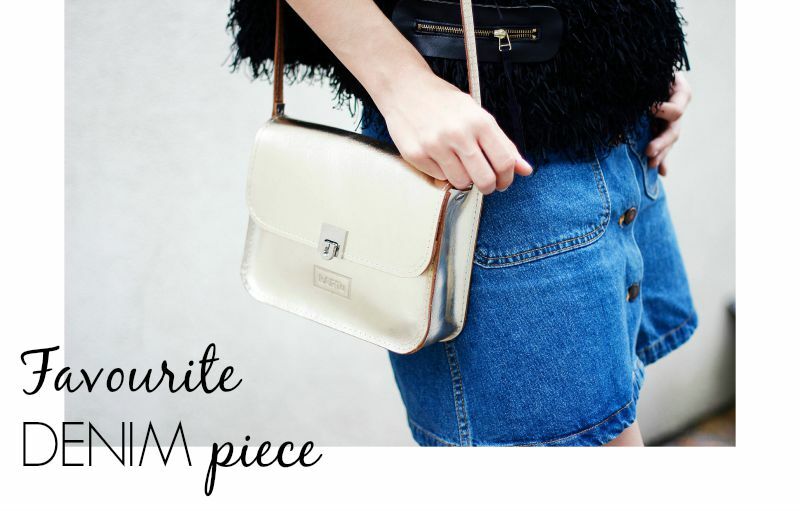 Today I'm sharing with you guys my favourite piece this summer - this gorgeous, line button ZARA denim skirt! I know, everyone has it and it's a crazy trend a the moment, but I honestly love it so so much. I like that vintage touch that it gives to any outfit and it's also very comfortable & easy to match. I'm showing you only one of my outfits with this skirt, however I'm sure it's not the last time you see me wearing it!